Eating healthy deserves a treat beyond an organic carrot. And it doesn't mean creamy, yummy desserts and snacks have to go by the way side. This isn't necessarily new, but still worth a second look. 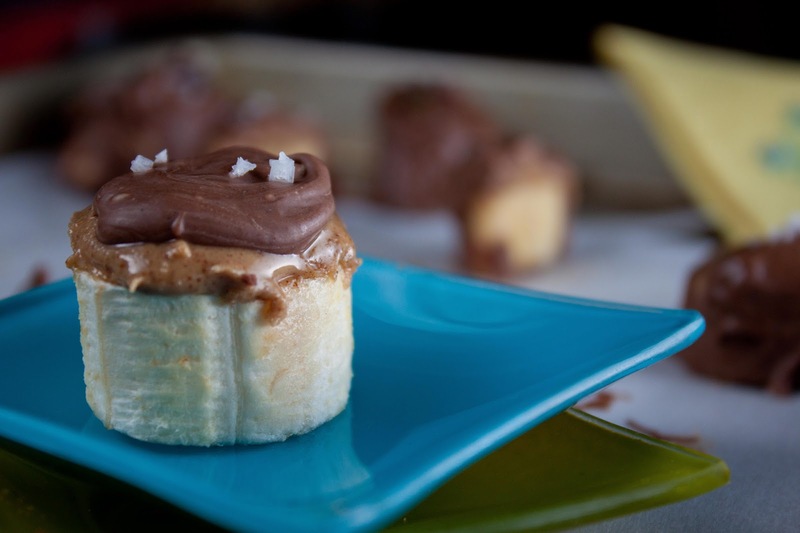 A simple banana slice topped with nut butter and a little dollop of chocolate. If you are feeling really sassy, try topping with a little salt or cocoa nibs. Eating these right away offers a decadent, creamy and satisfying bite. Store in the freezer if you enjoy frozen bananas. Treat yourself to something healthy with these Fat and Happy Peanut Butter, Chocolate, Banana Bites. 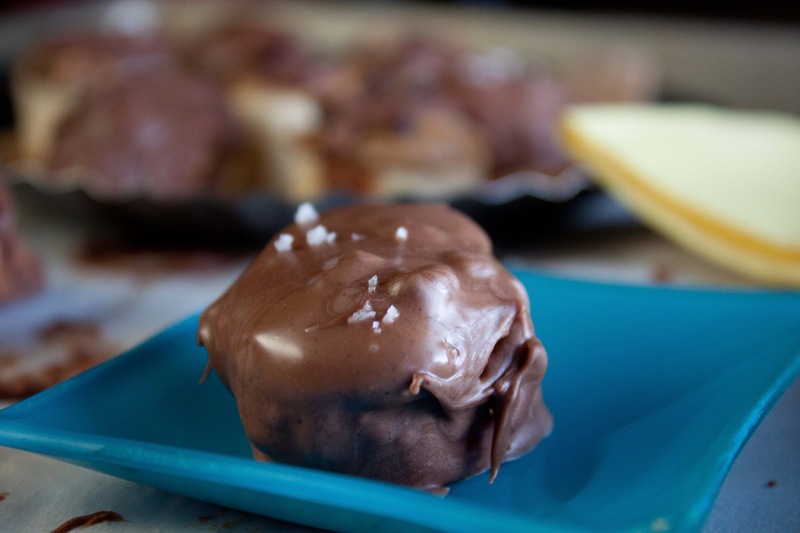 Fat and Happy Food Blog Tips and Techniques: Modify your options by using a variety of nut butters and chocolates. Slice the banana into 1 inch pieces. Carefully spread a spoon of nut butter on each slice. Warm the chocolate along with the coconut oil. 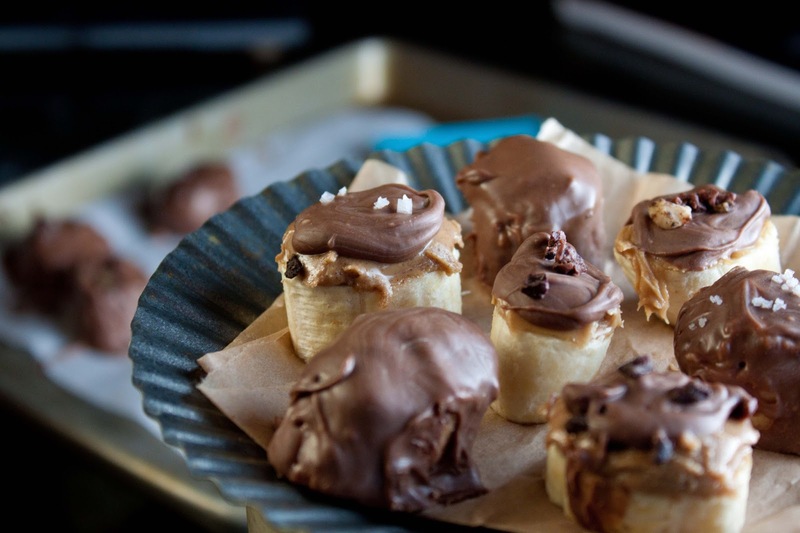 Add a dollop of chocolate onto of the nut butter or dip each banana slice in the chocolate. Add the optional toppings as desired. Allow the chocolate to harden and then enjoy.